When you’re expecting your first child, it can be a real rollercoaster of emotions. It’s obviously exciting and joyous, but it can also be extremely daunting. In the lead up to the birth, it’s common for parents-to-be to start getting worried and nervous about what will happen once baby arrives. Here, we’ll look at some of the top things parents-to-be worry about and how to ease those worries. Bringing a baby into the world and raising them to be healthy, happy human beings is an enormous responsibility. Therefore, it’s common and understandable that you or your partner might worry you won’t be good enough. It’s something most new parents struggle with so you’re definitely not alone. The truth is, it’s pretty easy to be a good parent! As long as you’re feeding, burping, putting them down to sleep and giving them plenty of love and affection, you’re a great parent. There’s no such thing as a perfect parent, every single one of us makes a mistake at some point. It’s part of the parenting journey and you just need to trust in yourself. You’ve got this! There’s no denying having a baby isn’t cheap. So, financial worries are definitely justifiable. However, the good news is there are plenty of ways to ensure you don’t struggle too much once baby comes along. If you’re on a low income, you could be entitled to a little help from social security and welfare payments. You’ll also find lots of childcare vouchers online, as well as grocery vouchers which can really help you to save money on your weekly shop. There’s even families out there who partake in “Extreme Couponing”, where they receive hundreds of dollars’ worth of food for just a few bucks. You might not want to go to that extreme but it’s an example of where you can make savings. It’s all about balancing your finances. Making cutbacks where you can and seeking financial help when you need it. Unfortunately, this is a worry that isn’t just limited to pregnancy. The minute your baby is born you’ll constantly worry about their safety. It’s an automatic parenting instinct that never truly goes away. However, that isn’t to say it isn’t manageable. Provided you baby proof the home correctly and follow basic parenting rules such as not leaving baby unsupervised, it’s unlikely your little one will find themselves in real trouble. Of course, accidents do happen, but the majority can be prevented. So, before baby arrives go over each room and thoroughly baby proof it. This will help put your mind at ease. Sleep deprivation is one of the most common problems new parents face. If you’re used to getting that blissful 8 hours of sleep every night then yes, you’re going to struggle initially with the sleep disturbances. However, you’ll find your body automatically takes over. Once baby starts to sleep through the night you won’t know how you got through those sleepless nights, but you did. A good tip is to sleep when baby is sleeping. Babies nap, a lot! So, while they take a little power nap, take one of your own. This will go a long way to help you retain your sanity! Worry #5: How Will You Know When You’re In Labor? If you’ve had a false alarm or those pesky Braxton Hicks contractions, it’s understandable you may be worried about how to identify the signs of labor. If it’s your first child, you’ll usually start to experience early labor signs around a few weeks before you actually go into labor. This is because the baby drops slightly further down into your pelvis. Any pressure you’ve felt under the ribs will now start to ease away and you’ll find it much easier to breathe. Your cervix will also start to dilate in the days or weeks prior to labor. This means it will open out and thin out in preparation of the delivery. You’ll start to have more cramps and back pain, and your joints will start to feel looser. However, when you’re actually in labor, you’ll lose your mucus plug, which is basically a lot of thick mucus. This happens before contractions start to occur. Unlike Braxton Hicks contractions, labor contractions are much more intense, and they’ll become more frequent as labor progresses. The final tell-tale sign of labor is when your waters break. Having a baby can put a strain on a relationship, but there are ways to ensure it doesn’t cause too many problems. Sleep deprivation can particularly impact both parents, making them more irritable and therefore prone to arguing in the early days. There’s also money worries and the fact baby is now a third person in the relationship, which can be difficult to handle if either partner is used to being the first priority. The mother can feel like she’s invisible now that baby has arrived, while dad can feel sidelined as all attention is given to baby. These are all common issues which can put a strain on your relationship. However, the key is to communicate and plan ahead. Talk about how things will change and what you can both do to ensure it has a minimal impact on your relationship. The more you talk, the less strain your relationship will be put under. Unfortunately, things don’t always work out as planned. During labor, there may be something wrong with baby. However, it’s extremely unlikely. This is because these days there are all kinds of tests which can be carried out during pregnancy to detect any potential health issues. So, the chances of finding something that wasn’t picked up on during the pregnancy are slim. There are so many things parents-to-be will find themselves worrying about. Some things may seem utterly ridiculous too, but they’re all part of being a parent. You never stop worrying, even once baby is born. It’s not easy, but parenting is definitely worth the sleepless night’s and the constant worry! 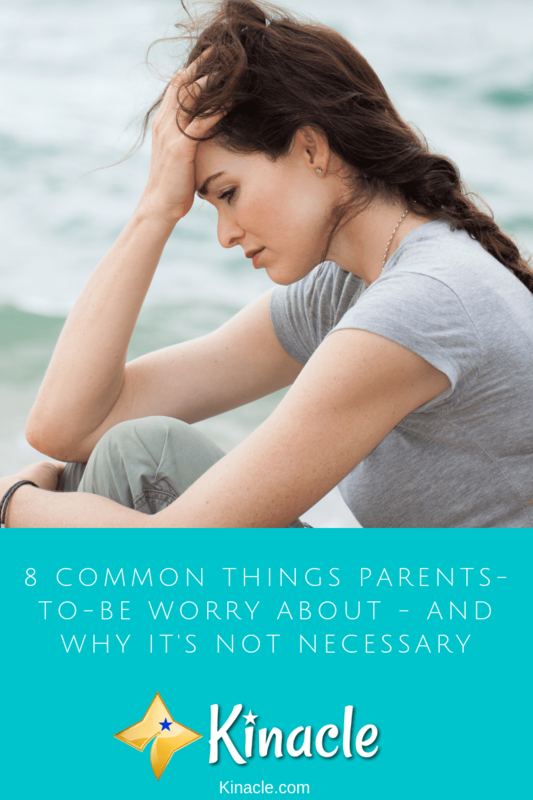 Overall, it’s common to worry about things in the lead up to the birth. However, you can ease your worries using the tips above. You just need to do all you can to prepare for baby’s arrival and then trust everything will be OK.